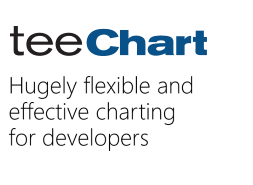 We are facing some issue on teechart in our project. We are sending demo project but issue is not replicated on demo. The same scenario arises on our project. We are using Teechart active X 2018. Here we are taking scMap series for polygon plotting, scPoint3D, scMap series for editing polygon. On edit polygon we are adding scPoint3D, scMap series. Points are shown by scPoint3D and highlighted polygon is shown by scMap series. When we pick any point to edit polygon, we get two adjacent point of picking point on mouse down event and show dashed polygon by connecting adjacent point through picking point by dashed line on mouse move event. First plot polygon then edit polygon. It gives type mismatch error. We would also like to put to your notice that our project uses both 32 bit and 64 bit tchart ocx for different sub projects. So we are not sure if this is causing the issue. Can you please suggest any fix or workaround? I'm not able to build your project with VS2019. The first errors say the following files can't be found: "afxdialogex.h", "afxwin.h", "afxext.h", "afxdisp.h", "afxdtctl.h", "afxcmn.h" and "afxcontrolbars.h". We'd need a simple example project we can run as-is to reproduce the problem here. I have build this project on VS2013 and have verified on different machines. You can download the project and try to run on VS2013 and it will run as is.